Singer-Songwriter Radical Face's The Family Tree trilogy is the story of a fictitious, and sometimes otherworldly, 19th century family. The story is told by using melodies and instrumentation to represent "family members", and only using instruments that would have been available during that era of the story. 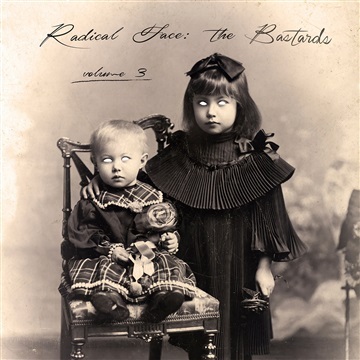 In advance of the release of the final album in The Family Tree trilogy next year, Radical Face stays with tradition by releasing The Bastards that didn't make the album but are more than worthy of being shared. The Bastards 3 EP is the next installment in this series and will be a welcome relief to fans everywhere looking for new Radical Face music.